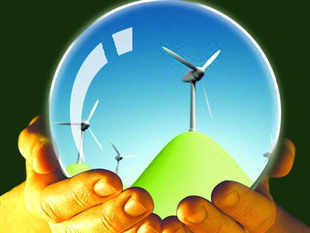 The Union Cabinet chaired by the Prime Minister , has given its approval to the National Offshore Wind Energy Policy.With this approval, the Ministry of New & Renewable Energy (MNRE) has been authorized as the Nodal Ministry for use of offshore areas within the Exclusive Economic Zone (EEZ) of the country and the National Institute of Wind Energy (NIWE) has been authorized as the Nodal Agency for development of offshore wind energy in the country and to carry out allocation of offshore wind energy blocks, coordination and allied functions with related ministries and agencies. The approval paves way for offshore wind energy development including, setting up of offshore wind power projects and research and development activities, in waters, in or adjacent to the country, up to the seaward distance of 200 Nautical Miles (EEZ of the country) from the base line. Preliminary assessments along the 7600 km long Indian coastline have indicated prospects of development of offshore wind power. With the introduction of the National Offshore Wind Energy Policy, the Government is attempting to replicate the success of the onshore wind power development in the offshore wind power development. The policy will provide a level playing field to all investors/beneficiaries, domestic and international. All the processes would be carried out in a transparent manner by NIWE.